Don Nelson and Tom Koch talked about Don's 40 year long career on ABC-13 with listeners of 104.1 KRBE's Roula & Ryan Show. 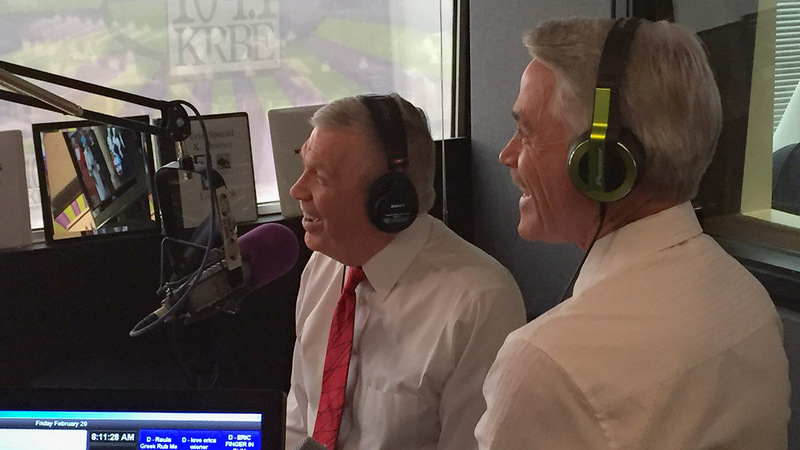 HOUSTON (KTRK) -- Don Nelson is retiring, and this morning, he and Tom Koch visited the 104.1 KRBE studios to talk about Don's long career at ABC-13. The two long time morning show anchors shared stories about Don's 40 year television career at ABC-13 with listeners of the Roula & Ryan Show. Tap here for behind the scene photos. 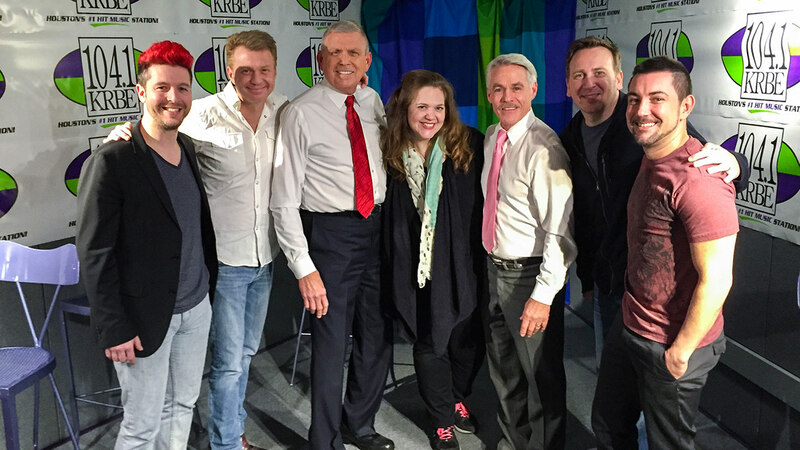 Listen to Don Nelson and Tom Koch from their appearance on 104.1 KRBE's 'Roula & Ryan Show' this morning. Don talked about how he came to Houston (it involves a monkey costume), funny moments from his days of hosting "Good Morning Houston" (including one of the most awkward interviewers ever) and what it's like to have to put on makeup at 4:00 every morning. He had them rolling in the studio with crazy stories. So what will he do now? Find out when you listen in!